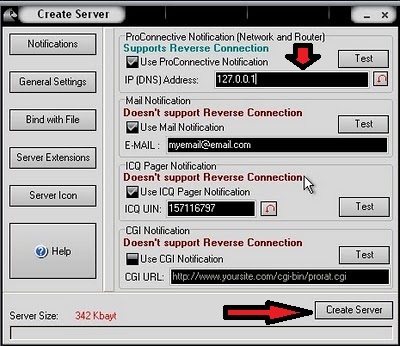 2)Then Disable your Antivirus because it is a Trojan file. 5)Now Open General settings. This tab is the most important tab. 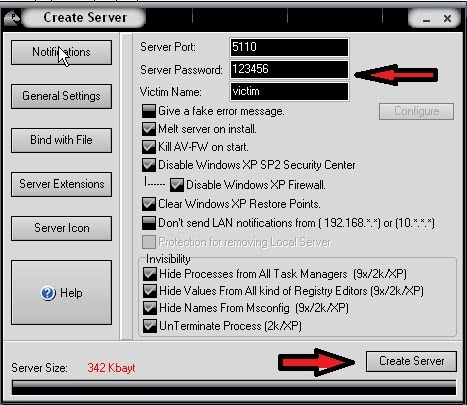 In the check boxes, we will choose the server port the program will connect through, the password you will be asked to enter when the victim is infected and you wish to connect with them, and the victim name. 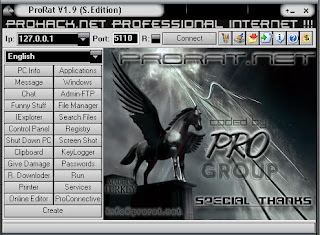 As you can see ProRat has the ability to disable the windows firewall and hide itself from being displayed in the task manager. 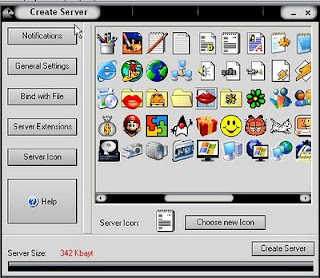 6)Then Click on Server icon which makes the victim interesting to Click on the server file !! If the Victim is affected then you can see LIKE THIS !!!!!!! Note: I AM NOT RESPONSIBLE FOR ANY MISUSE. !!! THIS IS TUTORIAL !!! !